Centauro (members in Argentina) were nominated to perform the integrated multimodal logistics by sea and land of an autoclaved cellular concrete plant (HCA) from Shanghai in China to the Province of Santa Fe, Argentina. After participating in a competitive bidding process along with local and multinational freight forwarders, Centauro was honoured by the client's nomination due to their proven experience and involvement in the development of projects in Argentina. Centauro then asked their PCN partner in China, Topline Express Logistics to professionally handle the coordination at the cargo's origin in Shanghai. 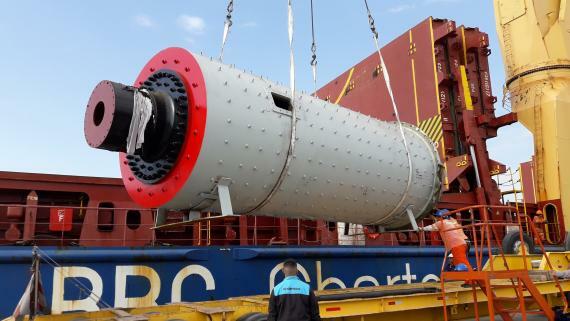 Centauro arranged the overall negotiation and vessel contract as well as the port operations, unloading and road transportation from the Port of Buenos Aires to the client's plant. 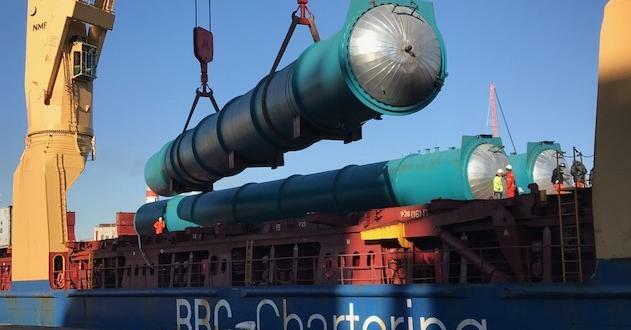 Julieta Moroni (Centauro Commercial Manager) comments; "We maintained a fluid and permanent contact regarding timings and logistical restrictions with all the involved parties including Topline, a European technologist, the Chinese manufacturer and the Argentine importer". 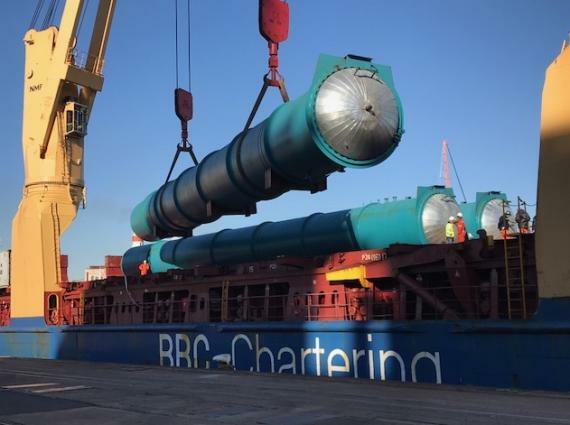 The three largest pieces (35m long and 74tn each), together with the rest of the components, were shipped on the vessel BBC Oregon, taking 55 days transit time from Shanghai to Buenos Aires. The road transportation of the oversized project cargo and other components was safely completed using three multi-axle trailers, flat-beds and support equipment in convoy with special road permits and police escorts. Please see below for photos. The complete multimodal service from Shanghai to Santa Fe was performed in a total of 62 days, delivering the cargo at the final destination to the full satisfaction of the customer. This is just the first stage of a large project with the shipping of over 80 containers following soon from Northern European ports to Rosario, Argentina. Congratulations to Centauro and Topline on another successful delivery!